“Milk does the body good,” right? And we need milk for calcium don’t we? According to television commercials milk really does the body good. But is that true? It sure makes sense. After all, milk is mentioned in the Bible. Abraham gave milk to the visiting angels in Genesis 18:18. And God described the promise land in Exodus 3:8 as flowing with milk and honey. So if God created it, it must be good. Right? It depends on whether it is consumed in its natural raw form, or in a commercially denatured, toxic form. Dairy foods include cheese, yogurt, milk, casein (added to processed foods), ranch dressings, mayonnaise, milk chocolate, etc. How many times have we heard “I am dairy intolerant”. Processed dairy is difficult to digest and it is also another common allergen, it creates gastrointestinal distress, gas, bloating, constipation, diarrhea, acid reflux, & liver/gallbladder congestion. Clogs the tissues and organs resulting in congestion and inflammation, which again leads to disease. Again, due to the mucus producing nature of dairy that clogs vital organs. All animal food (including dairy) increase IGF-1 (a growth hormone produced by the liver) levels in the body. This IGF-1 growth hormone has been shown to promote cancer significantly. When you stop eating animal food, IGF-1 levels drop significantly. Which may lead antibiotic resistance, bowel disease, and cancer. Destroys enzymes, proteins, vitamins, minerals, & beneficial bacteria. Results in loss of up to 60% of its fat-soluble vitamins, and up to 50% loss of Vitamin C. Vitamins B6 and B12 are completely destroyed, and 38%-80% of the water-soluble vitamins are destroyed. Synthetic D is often added back into commercial milk, further unbalancing the nutrient profile. The synthetic form of Vitamin D promotes calcification of soft tissues and softening of hard tissue such as bones. Calcium availability is decreased by 50% or more as well. 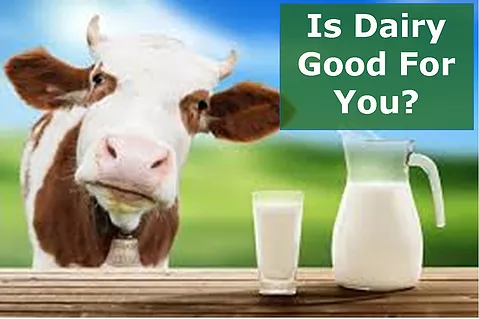 Click Here To View Research Video and Research Study Links that link dairy to cancer, acne, parkinsons, auto-immune disease and more.